To waive a late fee, select the loan with the fee you want to waive. 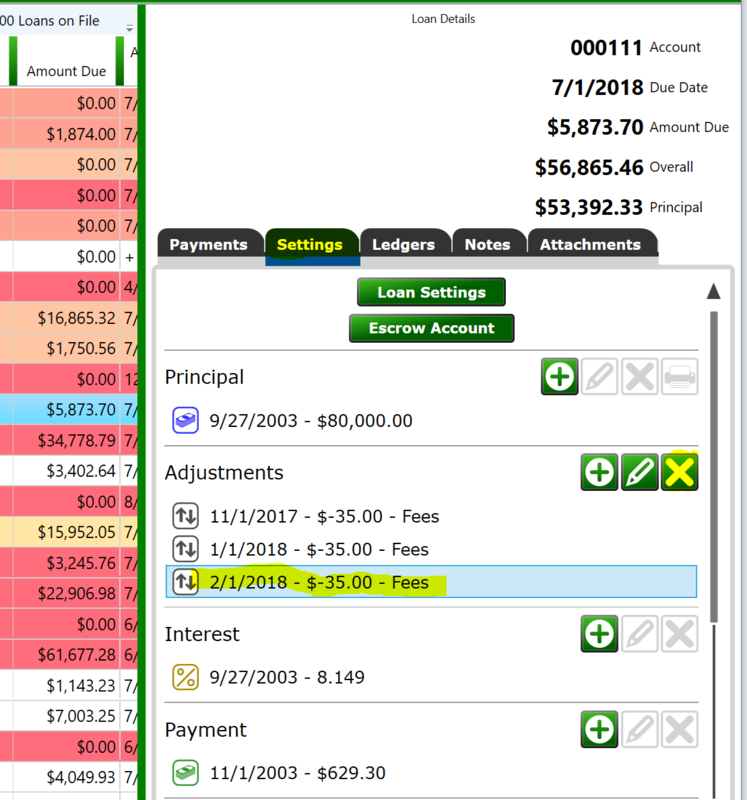 Go to the Ledgers tab on the Loan Details panel. Switch the account to Fees. Find the fee you want to waive. All late fees will have “LoanLateFeeSetting” in the Source column. Double-click the late fee. Moneylender will automatically create an adjustment for the same day as the fee in the opposite amount. This shows on the loan’s ledgers that a late fee was due, and that the lender chose to waive the late fee. To undo a waived late fee, go to the Settings tab of the loan details panel. 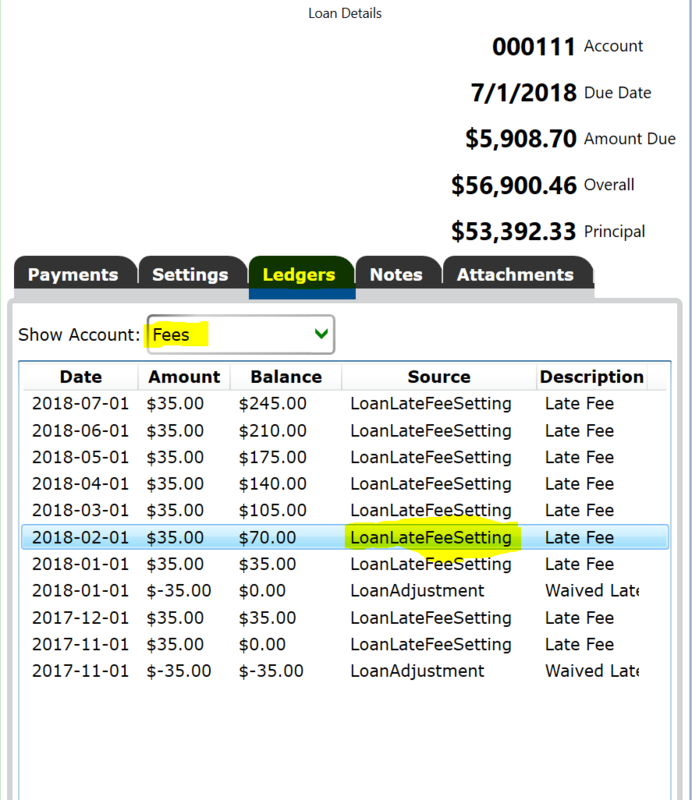 Select and delete the adjustment that is waiving the late fee.